The Ultimate Studio Vocal Bundle - Normally £569! 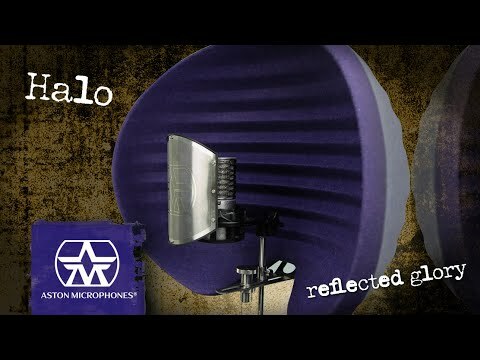 A fantastic combination of professional grade microphone, reflection filter, shockmount a.. The Ultimate Studio Vocal Bundle - Normally £569! A fantastic combination of professional grade microphone, reflection filter, shockmount and pop filter to provide top quality vocal recording in pretty much any environment. This is the gear the pros use, at price to fit most home studio budgets. 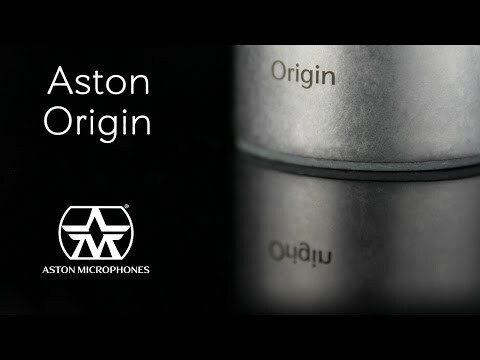 The Aston Origin condenser is the mic many producers, engineers and artists are choosing to use in preference to far more expensive ‘industry standard’ options. It’s a versatile, high-performance, cardioid microphone with a one inch gold evaporated capsule, delivering a smooth, direct and intimate sound for vocals and a wide range of acoustic and electric instruments. The Aston Halo provides a smooth, consistent vocal sound even in the most difficult acoustic environments. It’s also great for recording a range of instruments. Unlike most reflection filters it provides diffusion as well as absorption, and offers 360º coverage to minimise floor and ceiling reflections, not just horizontal ones. Users include Drake, Dizzee Rascal, Ed Sheeran, Gary Barlow and many more. The professional grade Shield gives ultra-efficient plosive reduction whilst allowing pure sound to pass. The wrap-round design provides improved coverage. The unique Swift shockmount features 2 quick-release spring clips designed to make mounting and removing your mic quicker than ever before.